There is a purpose to the universe and this purpose matters. The final case study in David N. Livingstone’s fascinating new book Dealing with Darwin: Place, Politics, and Rhetoric in Religious Engagements with Evolution, looks at the approaches to evolutionary theories at Princeton – both the college and the seminary. Most of the professors at Princeton were willing to accept a limited form of evolution. Limited, first, by the available data of their era. Evolution was gaining acceptance in the general scientific community, but there was considerable doubt concerning mechanism. It was not at all clear that natural selection could play the entire role that Darwin assigned to it. Thus there was a certain caution, noting that evolution by natural selection was not yet a proven theory. Limited, second, by a reaction against the purposelessness that some attributed to Darwinian evolution. There was no room for compromise on teleology, the design and purpose inherent in creation. When do scientists, including evolutionary biologists, go too far? What is the appropriate Christian posture toward science? Charles Hodge at the seminary and James McCosh at the college (then the College of New Jersey, only being renamed Princeton and becoming a University in 1896) took very different rhetorical stances on Darwinian evolution. Livingstone argues, however, that their views, while different, were not all that different and the men admired each other. Against Darwinism. 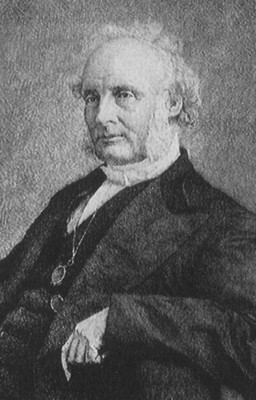 Hodge went on record against Darwinism, speaking against it at the 1873 New York meeting of the Evangelical Alliance. “[O]ver the following months he turned his preliminary reflections into a 178 page volume entitled What is Darwinism? The book delivered Hodge’s answer with crystal clarity: “It is atheism.”” (p. 159) But this does not mean that Hodge supported a young earth, or that he was anti-evolution. His pronouncement was based on a definition of Darwinism, and this definition gave the clarity and conviction to his view. Livingstone expands on the context of Hodge’s view. The definition here is important – because Hodge’s certainty hinges on his definition of Darwinism. 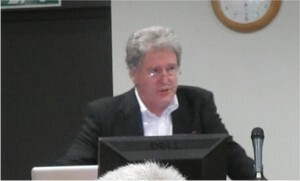 Hodge defined Darwinism using atheistic terms and concepts and then declared that Darwinism was atheism. But he never declared that evolutionary theories of the development of life were intrinsically atheistic. A Different Take. 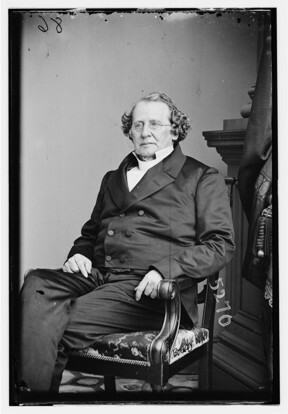 There were a number of Christian evolutionists at Princeton, including James McCosh, president of the college, but they did not accept Hodge’s stringent definition and were willing to talk about Darwinian evolution in Christian terms. McCosh also noted, after reflecting on the reception and theological pushback Newton’s theory of gravity received … “The time has now come when people must judge of a supposed scientific theory, not from the faith or unbelief of the discoverer, but from the evidence in its behalf.” (p. 169) We can accept the facts without accepting the metaphysical baggage that may be attached to the data and the scientific theory. Calvinizing Evolution. Now back to the seminary where B. 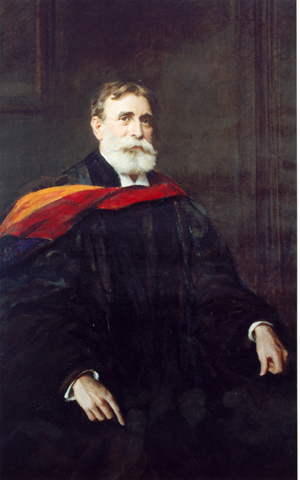 B. Warfield was a man of considerable influence. Benjamin B. Warfield held varying views on Darwinism throughout his life. His view on evolution, separate from the mechanism, was more constant. Warfield was convinced that evolution was fully compatible with Calvinist orthodoxy. This is clear in his 1915 article “Calvin’s Doctrine of Creation” in the Princeton Theological Review. Warfield based this on the view of accommodation that Calvin taught. The spirit of Calvin’s hermeneutic genius should lead us to accept long periods of time and modification through second causes. Evolution is a theory that must be proven by empirical evidence, but need not be at odds with Christianity. Evolution is a secondary cause under the constant supervision of divine providence, and “occasional supernatural interference” of God is not outside the bounds of the evidence. Warfield, and indeed the scientists at the college, remained convinced that the creation of the human soul was a place where God’s action went beyond evolution and natural mechanisms. This didn’t preclude common descent or modification by random variation and natural selection, but man’s spiritual nature was from God. Purpose Matters! The Princeton Calvinists – those for, against, and indifferent to Darwinism – provide a powerful example for how to engage productively with new ideas. When one is able to penetrate and parse the rhetoric of Charles Hodge, this is seen in his positions as well. The battle is fought against atheistic materialism that removes God from the picture. Purpose matters – there is a rhyme and reason for the universe, it is under constant divine providence, but secondary causes are just fine, nothing to be concerned about. There is no value or virtue in fighting against the empirical and theoretical deductions of scientific investigation. Evolution, and even Darwinian mechanisms, stand or fall on the weight of the empirical evidence. An open-minded willingness to dig into the questions is necessary, for knowledge and understanding will advance with us or without us. James McCosh took care with the way he dealt with evolution to avoid the unnecessary alienation of students of science from their Christian heritage. This is an example we would do well to follow. If you would like to comment please see Purpose Matters! at Jesus Creed. This entry was posted in Conversation, Science and Faith and tagged David N. Livingstone. Bookmark the permalink.